Firefighters are responding to a blaze at a Midtown high-rise office building. The New York Fire Department said Friday morning that no injuries have been reported. Five dozen firefighters responded to the fire on Madison Avenue a block from Grand Central Terminal. 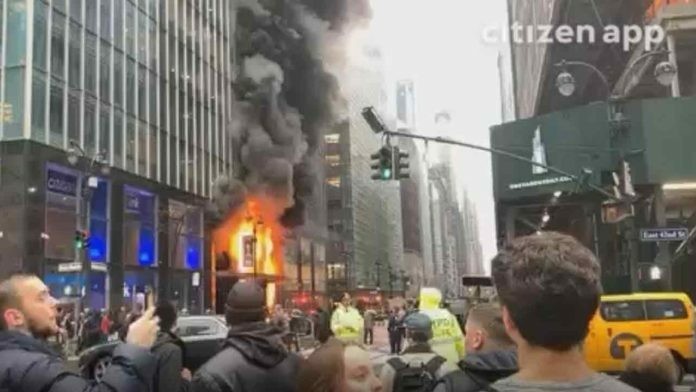 The Fire Department did not identify a cause of the blaze, but a witness told WNBC-TV that workers evacuated the building after holiday decorations caught fire.